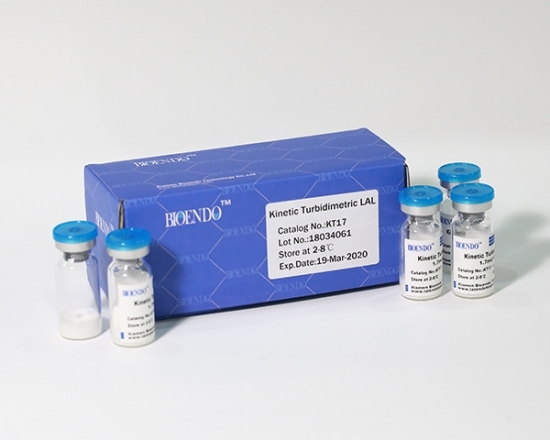 We supply kinetic turbidimetric LAL lysate(KT Endotoxin Test Kit) for pharmaceutical and medical device industries for testing the endotoxin level of the injectable drugs and implantable medical devices at China. 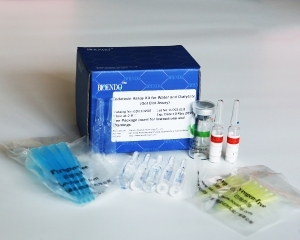 Kinetic turbidimetric endotoxin test kit is the endotoxin assay kits by kinetic turbidimetric method. 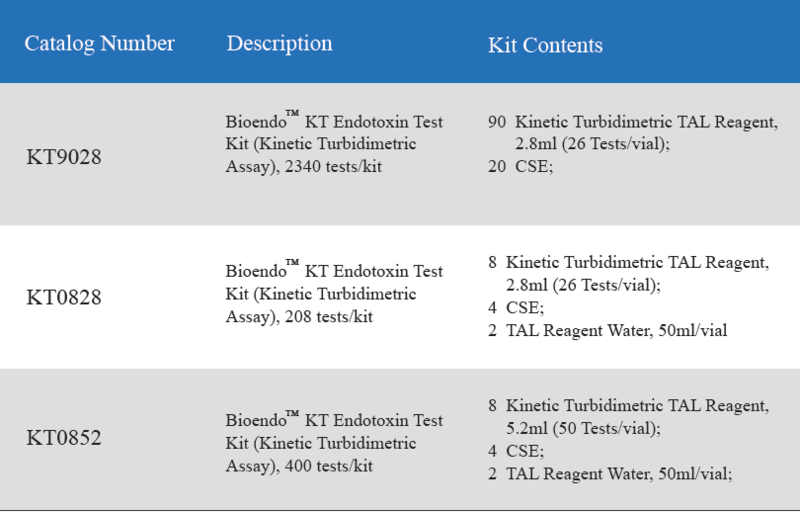 Based on the principle that in the presence of endotoxin (pyrogen, lps) LAL becomes turbid, the increase rate of turbidity is proportional to the endotoxin concentration of the sample, the endotoxin is quantified. 1. 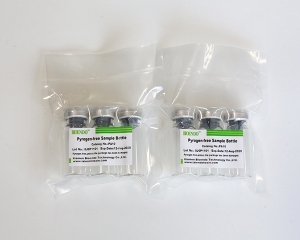 The kit includes kinetic turbidimetric LAL reagent, Control Standard Endotoxin, LAL Reagent Water (Water for Bacterial Endotoxin Test), Constitution Buffer, pyrogen free pipette tips, pyrogen free glass test tube for control standard endotoxin dilution and pyrogen free microplate. 2. 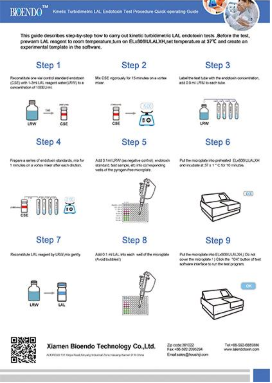 The detection limit for the assay kit is 0.005EU/ml to 50EU/ml. Kinetic turbidimetric endotoxin assay require a kinetic microplate reader such as ELx808IULALXH or a kinetic tube reader. 3. Kinetic software is also required for calculate the endotoxin concentration. 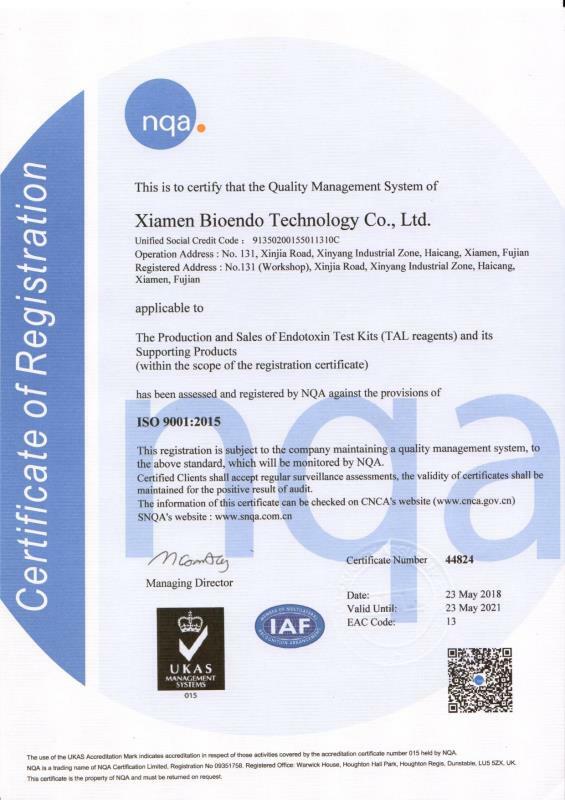 End-product endotoxin (pyrogen) qualification, Water for injection endotoxin assay, raw material endotoxin testing or endotoxin level monitoring during manufacturing process for pharmaceutical companies or medical devices manufacturers. 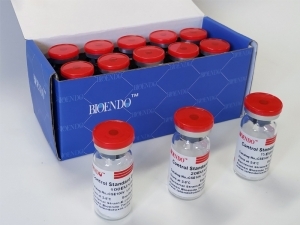 The LAL reagent sensitivity and the Control Standard Endotoxin potency are assayed against USP Reference Standard Endotoxin. 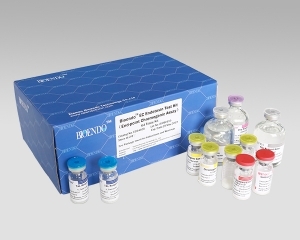 The LAL reagent kits come with product instruction, Certificate of Analysis, MSDS. 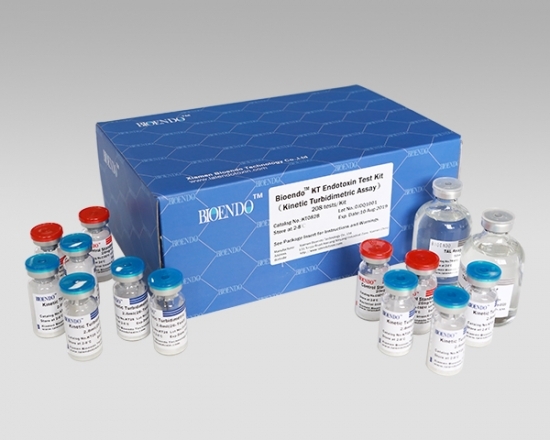 The Control Standard Endotoxin is a good alternative for expensive Reference Standard Endotoxin to construct a standard curve in kinetic assay and end-point chromogenic assay or positive control of gel clot assay. Our CSE is labeled by potency and matched to LAL reagent lots. Users do not need to do the CSE/RSE ratio assay. 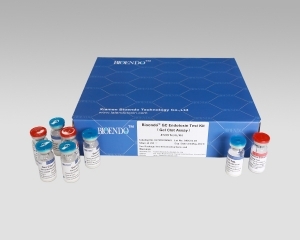 This is the most commonly used In Vitro method of endotoxin detection. 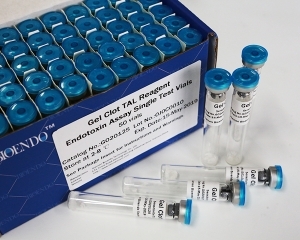 The Gel Clot LAL Reagent multiple-test vial is simple and do not require an expensive instrument. 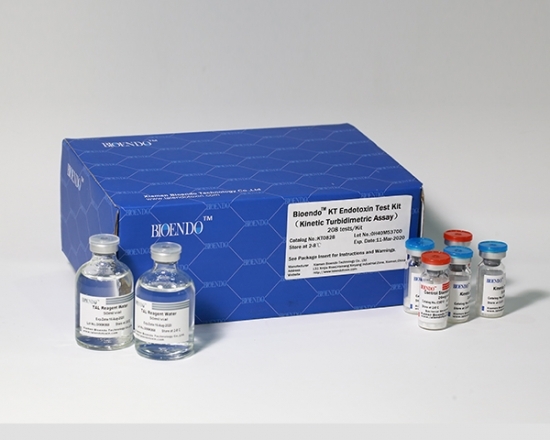 We offer End-point Chromogenic TAL Endotoxin Testing Assay, gel clot LAL kits and kinetic chromogenic and tubidimetric LAL kits for endotoxin assay. 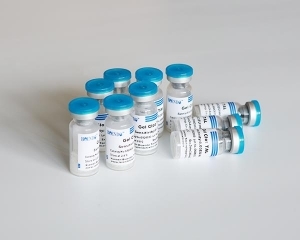 LAL test is the best test for bacterial endotoxin (pyrogen) contamination in intravenous drugs, vaccines, and medical devices before the product release. 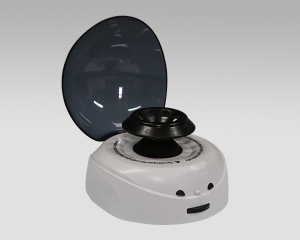 Mini Centrifuge Laboratory Benchtop is the tabletop centrifuge idea for the endotoxin testing pyrogens lal testing sample preparation. 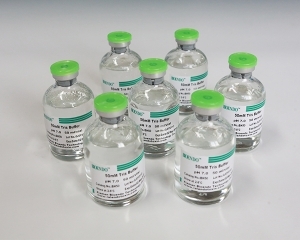 Depyrogenated endotoxin free sample bottles （endotoxin free bottle, pyrogen free bottle, pyrogen free sample bottle）are glass bottles contain less than 0.005 EU/ml endotoxin. Selection of a pyrogen-free 96-well plates with cover or 12 strip X 8 well 96-well plate, strips are individual wrapped. 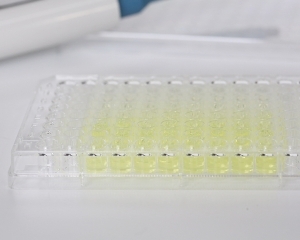 The individual wrapped 8-well strips is idea for the assays that is less than 96 tests at a time. 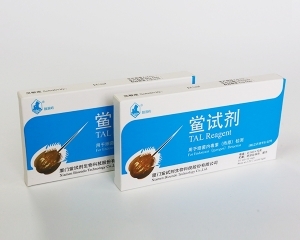 The gel clot TAL reagent single tests sealed in ampoule is the most economical way to testing endotoxin. Our gel clot reagents are strong resistance to interferences, has the widest range of sensitivities.